The Kaiser Family Foundation’s latest tracking poll finds that costs and affordability are the health care issues Americans most want Congress to address — though the public remains highly skeptical that Democrats and Republicans can actually work together to do anything on health care. The poll also finds that the favorability of the Affordable Care Act has risen to 53 percent and that 59 percent of people living in states that have not expanded Medicaid under the ACA want such an expansion. Incremental measures will dominate action on the health law in a largely gridlocked Congress. Both parties are looking to address issues that voters prioritized, such as lowering prescription drug prices, though different approaches by Republicans and Democrats could mean incremental changes stand a better chance of enactment than any major bill. Early on, lawmakers may find themselves dealing with the fallout of a court ruling that could overturn the law’s mandate that health insurance cover pre-existing conditions, putting Congress on the spot in the face of widespread voter support for those protections. All of these issues, which dominated this year’s elections, will play out against the backdrop of the next congressional and presidential contests. “In a lot of ways, the purpose of legislation in this Congress for the Democrats is going to be to set the agenda for the 2020 election,” said Dan Mendelson, the founder of the consulting firm Avalere. Lowering drug prices is a top priority for House Democrats and President Donald Trump. Leaders of both parties identified this issue last week as a possible area for bipartisanship. But Democrats’ more ambitious plans, like allowing Medicare to negotiate drug prices, aren’t expected to advance in the Republican Senate. Instead, issues like increasing transparency or speeding up approvals for new treatments could be ones where both parties can find agreement. Texas Democratic Rep. Lloyd Doggett, a contender to lead the Ways and Means Health Subcommittee, is pushing a measure that would require HHS to negotiate prices for drugs covered by the Medicare Part D program. While most Democrats say they back price negotiations, there will likely be debate within the party about the details, particularly if they seem to be close to the government setting prices. “When you start getting into anything that looks like price controls, you might get some bipartisan support for, but you also might get bipartisan support against,” said Ben Isgur, the leader of PwC’s Health Research Institute. Democrats’ other focal points center on price-gouging for pharmaceuticals, which gained significant attention in recent years. The House Democrats’ “Better Deal” legislative agenda envisions a “price-gouging” enforcer, which would be a Senate-confirmed position to lead a new agency focused on stopping significant price increases for prescription drugs. Democrats also hope to require drug manufacturers to provide data to justify significant price increases. Their plan would require drugmakers to justify price increases of certain amounts at least 30 days before they take effect. Leaders in both parties have said since the election that drug pricing will be on the agenda, but have appeared skeptical of whether their efforts would yield a successful outcome. Mendelson predicted that even if a major bipartisan agreement to lower prices doesn’t advance in the next Congress, the Trump administration will keep taking steps that could eventually lower prices. Food and Drug Commissioner Scott Gottlieb has earned bipartisan praise for speeding new drug approvals, for instance. The Trump administration could try to stay in command of drug pricing politics ahead of the 2020 election, he added, although Democrats will also seek to control the issue. “There could well be significant progress over the next year or two because the administration has a lot of authority and they will use it to neutralize the issue before the 2020 election,” said Mendelson, a former Clinton administration official. The electrifying election-year issue of pre-existing condition protections is likely to win a House vote as Democrats seek to prove their commitment to that popular part of the law. Both parties are bracing for a ruling from U.S. District Court Judge Reed O’Connor of Texas in a lawsuit filed by 20 state officials seeking to overturn the 2010 law. O’Connor heard oral arguments in September, although the Trump administration asked to delay a ruling until after the open enrollment period ends on Dec. 15. If O’Connor strikes down all or part of the health care law, Democrats expect a group of state attorneys general defending the law to seek an immediate injunction and appeal the decision. Legal scholars on both sides of the aisle question the arguments of those attempting to kill the law, but the case could reach the Supreme Court. House Democrats plan to consider a bill by Rep. Jacky Rosen of Nevada who won a Senate bid last week, that would allow the House to intervene in the case and defend the health law, aides say. Across the Capitol, 10 Senate Republicans introduced a bill this summer to guarantee coverage of pre-existing conditions, which GOP aides say could be part of a response to the lawsuit. Democrats have criticized the Senate GOP bill because it doesn’t require insurers to cover certain services for patients with pre-existing conditions. Republicans like North Carolina Sen. Thom Tillis, who sponsored the measure, defend it. “If they do strike down large parts of the legislation, Sen. Tillis’ bill could be one important part of a larger health care legislative effort,” said Adam Webb, a spokesman for Tillis. Senate Majority Leader Mitch McConnell of Kentucky declined to reveal after the election how the chamber would respond to a ruling striking down parts of the law, but called for bipartisan fixes to the health law. A draft bipartisan stabilization bill, which has been at an impasse for nearly a year, could re-emerge in the next Congress, but it’s not clear if lawmakers can resolve a fight over abortion restrictions that blocked an agreement or how that measure could change a year later. “The first thing we need to do is stop Republican attacks on coverage of pre-existing conditions, stop any movement toward extending these short-term plans,” Iowa Rep.-elect Cindy Axne, who defeated Rep. David Young, said in a call with reporters last week. Top Democrats — Frank Pallone Jr., Richard E. Neal of Massachusetts, and Robert C. Scott of Virginia, who are expected to chair the Energy and Commerce, Ways and Means, and Education and Workforce committees, respectively — introduced legislation this year to shore up the health law. It would increase the size of the tax credits that help people pay their premiums and expand eligibility. It would also block Trump administration rules to expand health plans that don’t meet the 2010 law’s requirements. Aides caution the bill could see minor changes next year based on developments since it was introduced in March and say it could be tied into a stabilization debate. Since falling short in their efforts to overhaul the law last year, Senate Republicans pivoted to rising health care costs, a focus that will likely extend into next year. Several senators showed interest in legislation to prevent surprise medical bills, but it’s not clear what other topics could lead to bipartisan agreement, which will still be needed in the Senate even with a larger Republican majority. Oversight of the health care law will dominate House action on the health law in a largely gridlocked Congress. House Democrats plan to bring administration officials to Capitol Hill to explain what critics call “sabotage” of the law’s insurance exchanges. “We’ll be looking at what they’re doing administratively to undermine the operations of the Affordable Care Act and what consequences they may have caused to literally millions of people,” Minority Whip Steny H. Hoyer told reporters in September. Oversight could touch on issues such as Trump’s funding cuts to outreach and advertising for the exchanges, reductions in enrollment help and the effects of repealing the law’s mandate to get coverage. Maryland Rep. Elijah E. Cummings, who is expected to lead the House Oversight Committee, will likely rev up an investigation into drug companies high prices that he has been conducting as ranking member and could bring executives in to testify before the panel. In a post-election press conference, the presumed incoming House speaker, Nancy Pelosi of California, highlighted the Energy and Commerce Committee as another “big oversight committee” that will be active. Medicaid expansion was the biggest winner in last week’s elections. Newly-elected leaders in the states will be in a stronger position than those in Washington to steer significant shifts in health care policy over the next couple of years as a divided Congress struggles with gridlock. State Medicaid work requirements, prescription drug prices, insurance exchanges and short-term health plans are among the areas with the potential for substantial change. Some states with new Democratic leaders may also withdraw from a multistate lawsuit aimed at killing the 2010 health care law or look for ways to curb Trump administration policies. But last week’s biggest health care winner is undeniably Medicaid expansion, with upwards of half a million low-income Americans poised to gain insurance coverage following successful expansion ballot initiatives and Democratic victories in key governors’ races. Voters in three deep-red states — Nebraska, Idaho and Utah — bucked their Republican lawmakers by approving ballot initiatives to extend Medicaid coverage to more than 300,000 people. Meanwhile, Democratic gubernatorial wins in Kansas and Wisconsin boosted the chances of expansion in those states. And Maine’s new governor-elect is expected to act quickly to grow the government insurance program when she takes office in January. The election outcomes could bring the biggest increase in enrollment since an initial burst of more than two dozen states expanded Medicaid under the 2010 health care law in the early years of the landmark law’s rollout. The successful ballot initiatives require state leaders to move quickly toward expansion. In Idaho, the state must submit an expansion plan to federal officials within 90 days of the new law’s approval, while Nebraska must submit its plan by April 1, according to the nonpartisan Kaiser Family Foundation. Utah’s new law also calls for the state to expand beginning April 1. In Kansas, where Medicaid supporter Laura Kelly prevailed, state lawmakers passed expansion legislation last year only to have it vetoed by the governor. Meanwhile, Wisconsin’s new Democratic governor Tony Evers, who eked out a win over Republican incumbent Scott Walker, has said he will “take immediate action” to expand, though he faces opposition from a Republican-controlled legislature. Expansions in the five states would bring the number of states that adopted expansion under the health law to 38, plus the District of Columbia. Still, Democrats fell short of taking one of the biggest Medicaid expansion prizes — Florida — after Andrew Gillum’s defeat. The outcome of Georgia’s tight governor’s race was still unclear as of Monday, with Republican Brian Kemp holding a narrow lead over Democrat Stacey Abrams. Both Abrams and Gillum made health care, and Medicaid expansion in particular, central to their campaigns. Florida might be a 2020 target for an expansion ballot initiative, along with other states such as Missouri and Oklahoma, according to The Fairness Project. Expansion supporters also suffered defeat last week in Montana, where voters did not approve a ballot initiative that would have extended the state’s existing Medicaid expansion, which covers nearly 100,000 people but is slated to expire next year. However, state lawmakers have until June 30 to reauthorize the program, according to Kaiser. In Maine, Democratic gubernatorial winner Janet Mills is expected to expedite expansion implementation. GOP Gov. Paul LePage stymied implementation over the past year, despite nearly 60 percent of voters approving an expansion ballot initiative in 2017. The midterm results carry other ramifications for Medicaid, including whether states embrace or move away from controversial work requirements backed by the Trump administration. Gretchen Whitmer, a Democrat who won Michigan’s governor race, opposed the idea and could shift away from an existing plan to institute them that’s awaiting federal approval. Kansas, Wisconsin and Maine also have work requirement proposals that new Democratic governors could reverse. But experts also say it’s possible some states, including those with Democratic governors, could end up pursuing Medicaid work requirements if that’s what it takes to get conservative legislators to accept expansion like Virginia did earlier this year. Nebraska Republican state senator John McCollister, who supports expansion, predicted recently that the legislature would fund the voter-approved expansion initiative. But he indicated lawmakers might pursue Medicaid work requirements too. A number of new governors, including Whitmer, could pursue the so-called “Medicaid buy-in” concept. More than a dozen state legislatures, such as in Minnesota and Iowa, explored the idea in recent years, according to State Health and Value Strategies, part of the nonprofit Robert Wood Johnson Foundation. Nevada lawmakers passed a “Medicaid buy-in” plan last year that was vetoed by the governor. There are a variety of ways to implement such a program, but the goal is to expand health care access by leveraging the government insurance program, such as by creating a state-sponsored public health plan option on the insurance exchanges that consumers could buy that relies on Medicaid provider networks. Illinois, New Mexico, Maine and Connecticut are among the states that could pursue buy-in programs, Riley said. States are considering the concept as a way to increase affordability and lower cost growth by getting more mileage out of the lower provider rates Medicaid pays, said Katherine Hempstead, a senior policy adviser with Robert Wood Johnson Foundation. This month’s election also carries implications for the future of states’ administration of the 2010 health care law. States that flipped to Democratic governors could switch to creating their own insurance exchanges rather than relying on the federal marketplace, said Joel Ario, a health care consultant with Manatt Phelps & Phillips and the former head of the federal health insurance exchange office under the Obama administration. The costs of running an exchange have come down in recent years, so it’s potentially cheaper for a state to run its own, Ario said. Trump administration actions, such as cuts in federal funding for insurance navigators that help consumers enroll and the expansion of health plans that don’t comply with the law, may make states such as Michigan or Wisconsin rethink use of the federal exchange, he said. “If [the administration] continues to promote policies that really leave a bad taste in the mouth for Democratic governors, I think they’ll be asking questions,” Ario said. States where governors and attorneys general offices went from red to blue are likely to pull out of a lawsuit by 20 state officials that aims to take down the health care law, he added. Wisconsin’s Evers vowed that his first act in office will be to withdraw from the lawsuit. “I know that the approximately 2.4 million Wisconsinites with a pre-existing condition share my deep concern that this litigation jeopardizes their access to quality and affordable health care,” Evers wrote in a letter he said he plans to send to the state attorney general. Hempstead said that states with both Republican and Democratic leaders will likely continue to pursue reinsurance programs, which cover high-cost patients, to bolster their marketplaces. Republican governors could also pursue waivers under a recent Trump administration guidance that allows states to circumvent some requirements of the health law under exemptions known as 1332 waivers. But experts say it’s too soon to know exactly what approaches states might take. “It will be interesting to see what the 1332 guidance means and whether it opens doors for some things and not for others,” Hempstead said. States that shifted to Democratic governors could also look to ban some Trump-supported policies, such as expansions of short-term and association health plans that avoid the health care law’s rules. States are also likely to take steps to address high prescription drug costs in the coming years, with a number of new governors wanting to improve transparency, explore drug importation from other countries and target price gouging, Riley said. “There’s a long history of the states testing, fixing, tweaking and informing the national debate,” said Riley. Tune in to hear Avalere experts discuss potential implications of the mid-term elections on health policy. Director Chris Sloan interviews Senior Vice President Elizabeth Carpenter on the mid-term elections results and what this could mean for the future of healthcare policy. CS: Hello, and welcome to a special mid-term elections Avalere podcast. This is the last in a three-part series we’re doing on the health policy implications of the mid-term elections, and this time, we actually have results from the mid-term elections! My name is Chris Sloan, I’m a director with the federal and state policy group here at Avalere. Today, we’re going to discuss the results of the mid-term elections and the implications for health policy going forward. EC: Thanks for having me. CS: The exit polling for the elections showed that healthcare again was one of the top issues for voters in the elections, eight years after the passage of the ACA. Can you talk about why this issue has continued to be such a big part of campaigns and elections in U.S. politics? EC: I think this election marked a new high in some ways in terms of how Americans thought and voted on health care. If you had asked me this question leading up to 2016, I would have focused on Americans talking about jobs and the economy, and I would have linked healthcare to jobs and the economy. People often talk about being worried about their job because they are worried about affording their health insurance and their healthcare. This year, from a domestic policy perspective, we saw healthcare at the top of the list, and when you look under the hood, what you see is that people were focused on healthcare costs and not necessarily those costs that are predictable—premiums ranked somewhat low on the list. People were very focused on surprise medical bills and certain areas where we’ve seen increased deductibles and coinsurance that are leading people to be more exposed to system costs. It’s clear that people were focused on healthcare, but they were really focused on having a surprise or unexpected healthcare expense where they were going to have to go out of pocket quite a bit at one time. As the economy has stabilized, people seem to be zeroing on the healthcare front. What I would say is, in all of our policy discussions of healthcare costs, you have to ask yourself, what is the policy doing to address that question? In many cases, I would opine that the policy is not doing much. So it is quite likely that we may see this issue continue as we head towards 2020. CS: In that vein, a lot of the Democratic candidates this election cycle were campaigning on expansions of public programs, like Medicare for All, Medicare for More. Do we expect that to continue now that Democrats have taken control of the House? How big of an issue do you think recent campaign promises have been? EC: I would say the Democrats face a choice in this moment about what they want their next step of health reform to look like in advance of 2020. In general, I would very much expect Democrats to use the next year or two to offer thought leadership and position their party in advance of the presidential race. What that looks like, I don’t think we know at this moment. There were a number of candidates, interestingly at the state and federal level, who embraced a Medicare for All or Medicare for More type of approach. Some of those candidates won and some didn’t, and it’s hard to pinpoint what role their position on this circular policy had in those results. But I think it is fair to say that there will be continued debate over what role Medicare and other public programs play in covering our citizens and that Democrats will need to land on something in advance of 2020. CS: So that was one big issue in the campaign, and another big issue that was on both sides was pre-existing conditions protections that made its way into the campaign season this year. There is still a lawsuit in Texas challenging the Affordable Care Act and the pre-existing conditions now that the individual mandate is gone. Do you see this as an option for some sort of bipartisan consensus coming out of the divided congress? What do you see happening with this issue going forward? EC: This is another issue where when you look under the hood, even people who say the same things mean potentially very different things. We had candidates on both sides of the isle running ads that talked about their desire to protect pre-existing condition protections, despite the fact that some of those candidates voted to uphold the Affordable Care Act and others voted to repeal it. You asked what might happen if we see the core go down this path where pre-existing conditions projections will be null and void and would Congress sweep in and produce a solution. On face, you could say both parties to some degree do want to maintain protections for some pre-existing conditions. In practice, how you do that gets complicated. Once you open up this particular issue, you’re going to have people on one side of the isle wanting to use it as an opportunity to do certain kinds of reforms, and you have people on the other side of the isle who want to change the insurance market in another way. We’ve heard already from Democrats, for example, who are interested in potentially pursuing limitations on some of the short-term plans, including association health plans and other types of plans that don’t meet all Affordable Care Act requirements. People have already said they want to pursue this in this congress. So you can imagine there being a real need to do something, but at the same time, you can envision how this gets complicated and partisan really quickly. The closer we get to 2020, the more complicated any kind of healthcare debate gets. CS: Given those realities of a divided government and partisanship, are we in a holding pattern for health policy until 2020 and the next election? EC: I think a TBD there. Based on what we’ve seen so far, I don’t think anyone holds out a lot of hope for kumbayah and bipartisan progress. At the same time, we’ve seen over the past 24-48 hours various lawmakers on both sides of the isle talking about, for example, the drug pricing issue. The important thing to remember here is that we have a president who is non-traditional in some of his thinking and not necessarily aligned with the positions of the historic Republican party, so to the degree that Congress can reach some kind of alignment, it’s quite possible the President would sign something that another president might not. But it really is up to Congress to decide if they can and want to work together. Both sides at this point are making a calculation about working together and governing is good for them heading into the next election or if fostering gridlock and highlighting differences is a better political path. CS: Great. Well, thank you so much for being with us. That wraps up our final episode of our three-part Avalere mid-term elections podcast series. As always, watch for more updates and analysis from Avalere over the coming weeks. Feel free to reach out to us with any questions. You are listening to Avalere Podcasts. MID-TERM MESSAGE: DON’T MESS WITH MY HEALTHCARE! Tired of the partisanship and dithering in Congress, voters took matters into their own hands Tuesday and largely embraced initiatives and politicians who vowed to expand Medicaid and protect coverage for pre-existing conditions. You can’t undo an entitlement. ‘Repeal and replace’ is dead. Drug pricing reforms a likely area of bipartisan consensus. Democrats can push Medicare For All at their own peril. 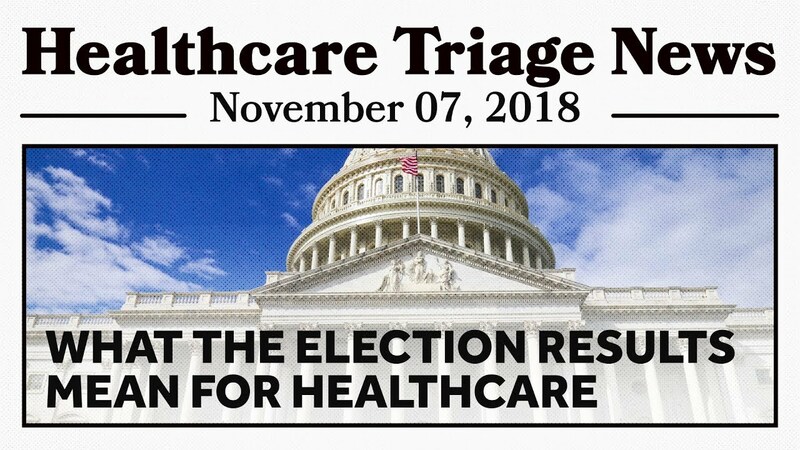 For healthcare economist Gail Wilensky, the big message that voters sent to their elected officials during Tuesday’s mid-term elections was straightforward and simple. “Don’t mess with my healthcare,” says Wilensky, a senior fellow at Project HOPE and a former MedPAC chair. Overall, Democrats wrested control of the House from Republicans in an election where healthcare was seen as the single biggest issue. Democrats ceaselessly hammered Republicans with the claim that the GOP would eliminate protections for pre-existing conditions. Ballot initiatives in three bright-red Republican states all passed with healthy margins. A similar ballot initiative in Montana failed, but observers blamed the failure on an unpopular $2-per-pack tax on cigarettes that would have paid for the expansion. Wisconsin Attorney General Brad Schimel, a lead plaintiff in a Texas v. Azar, was ousted by Democrat Josh Kaul, who promised to withdraw Wisconsin from the suit. Three-term Wisconsin Gov. Scott Walker lost a re-election bid to Democrat Tony Evers, likely scuttling that state’s recent waiver approval for Medicaid work requirements. Evers also pledged to expand Medicaid. Phil Weiser, Colorado’s Democratic Attorney General-elect, and a former Obama administration staffer, told Colorado Public Radio that one of his first actions would be to join the 17 Democratic attorneys general intervening to defend the ACA in Texas v. Azar. Wilensky says the mid-terms results reinforce one of the oldest truisms in politics: Once an entitlement is proffered, there’s no going back. When Democrats took control of the House, Wilensky says, they drove a stake through the heart of the “repeal and replace” movement. With repealing the ACA off the table, Democrats and Republicans might find common ground on issues such as drug pricing. The two parties could reach some sort of bipartisan agreement on Medicare Part B drugs, Wilensky says, because it’s a smaller program and the drugs are generally much more expensive. Besides, Wilensky says, it’s not the cost of drugs that’s at the heart of voter agitation. More likely, she says, common ground could be found in arcane areas such as mandating greater transparency for pharmacy benefits managers, and changing PBMs’ rebate structure. Wilensky warns that giddy Democrats should learn from the mistakes of Republicans in the mid-terms and not attempt to force a Medicare-For-All solution on a wary public. Yesterday’s election results have a lot of impact on health care in the United States. The new Democratic House of Representatives and the ACA, expansion of Medicaid in red states, and medical and recreational marijuana are all affected by last nights returns. Whatever you want to call the 2018 midterm elections – blue wave, rainbow wave, or purple puddle – one thing is clear: Democrats will control the House. That fundamental shift in the balance of power in Washington will have substantial implications for health care policymaking over the next two years. Based on a variety of signals they have been sending heading into Tuesday, we can make some safe assumptions about where congressional Democrats will focus in the 116th Congress. As importantly, there were a slew of health care-related decisions made at the state level, perhaps most notably four referenda on Medicaid expansion. In this post, I’ll take a look at which health care issues will come to the fore of the Federal agenda due to the outcome Tuesday, as well as state expansion decisions. And it should of course be noted that, in addition to positive changes Democrats are likely to pursue over the next two years, House control will allow them to block legislation they oppose, notably further GOP efforts to repeal the Affordable Care Act (ACA). Democrats have long signaled they consider pharmaceutical pricing to be one of their highest priorities, even after then-candidate Trump adopted the issue as part of his campaign platform and maintained his focus there through his tenure as President. While aiming to use the issue to drive a wedge between President Trump and congressional Republicans, who have historically opposed government action to set or influence prices, Democrats will also strive to distinguish themselves by going further on issues like direct government negotiation of Medicare Part D drug reimbursement. If you live in a contested state or district, you have probably seen political ads relating to protecting patients with preexisting conditions. As long as a Republican-supported lawsuit seeking to repeal the ACA continues, Democrats believe they can leverage this issue to demonstrate the importance of the ACA and their broader health care platform. A three-legged stool serves under current law to protect patients with chronic conditions: (1) the ban on preexisting condition exclusions; (2) guaranteed issue; and (3) community rating. Democrats will likely seek to bolster these protections with measures to shore up the ACA exchange markets. In the same vein, they will likely strive to rescind Trump Administration proposals to expand association-based and short-term health plans, which put patients with higher medical costs at risk by disaggregating the market. Congressional Democrats believe that there were some stones left unturned in this year’s opioid-related legislation, especially regarding funding for many of the programs it authorized. This is a priority for likely Ways & Means Committee Chair Richie Neal (D-MA) and could potentially be a source of bipartisan compromise. While this issue could become a bugaboo for old guard party leaders, the Democratic base will likely escalate its calls for action on Medicare for All now that the party has taken the House. Because the details of what various camps intend by this term are still vague (some believe it is tantamount to single payer, others view it as a gap-fill for existing uninsured, etc. ), we will likely see a variety of competing proposals arise in the coming two years. Expect less bona fide committee action and more of a public debate aired via the presidential primary season that will kick off about, oh, right now. The drug industry is not the only health care sector that can expect heightened scrutiny of their pricing practices now that Democrats control the people’s chamber. Most notably, the phenomenon of surprise bills (unexpected charges often stemming from a hospital visit) has risen as a salient issue for the public and thus a political winner for the party. Republicans have shown interest in this issue as well, so it could be another source of bipartisanship next year. Democrats believe they are scoring well with the public, and certainly their base, every time they take on President Trump. The wide range of aggressive regulation (and deregulation) the Administration has pursued will be thoroughly investigated and challenged by Democratic committee leaders, especially administration efforts to dismantle the ACA and to test the legal bounds of the hospital site neutrality policy enacted in the Bipartisan Budget Act (BBA) of 2015. 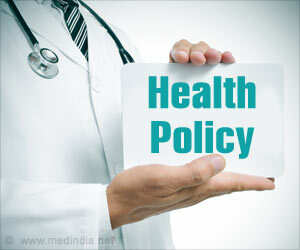 While it instituted permanent policies for Medicare physician payments and some other oft-renewed ‘extenders’, the Medicare Access and CHIP Reauthorization Act (MACRA) of 2015 left a variety of policies in the perennial legislative limbo of needing to be repeatedly extended. While the policies in the Medicare space have dwindled to subterranean, though not necessarily cheap, affairs like the floor on geographic adjustments to physician payments, a slew of Medicaid-related and other policies are up for renewal in 2019. For example, Medicaid Disproportionate Share Hospital (DSH) payments face a (previously delayed) cliff next year. That and the most expensive extender, ACA-initiated funding for community health centers, alone spring the cost of this package into the high single digit billions at least, driving a need for offsetting payment cuts and creating a vehicle for additional policy priorities. A likely addition to this discussion will be the fact that Medicare physician payments, per MACRA, are scheduled to flatline for 2020-2025 before beginning to increase again, albeit in divergent ways for doctors participating in the Merit-Based Incentive Payment Program (MIPs – 0.25 percent/year) and Advanced Alternative Payment Models (APMs – 0.75 percent/year). The AMA assuredly noticed this little wrinkle in the celebrated legislation but hundreds of thousands of doctors probably did not. Of the variety of state-level health policy decisions voters made on Tuesday, perhaps the most significant related to Medicaid expansion. In there states where Republican leaders have blocked expansion under the ACA – Nebraska, Idaho, and Utah – voters endorsed it via public referenda. Increasing the Medicaid eligibility level in those three states to the ACA standard will bring coverage to approximately 300,000 people. Notably, voters in Montana rejected a proposal to continue funding the Medicaid expansion the state enacted temporarily in 2015 by an increase to the state’s tobacco tax. Their expansion is now scheduled to lapse in July 2019 if the legislature doesn’t act to maintain it. If they do not act, about 129,000 Montanans will lose Medicaid coverage. Finally, Democratic gubernatorial wins in Maine, Kansas, and Wisconsin will make Medicaid expansion more likely in those states. As they say, elections have consequences. While the Republican-controlled Senate and White House can block any Democratic priorities they oppose, the 2018 midterm elections assure a busy two years for health care stakeholders.